Different pregnancy pillows serve different purposes and hence a pregnancy pillow needs to be picked only after you have ascertained your requirements. Can the cover of the pillow be removed and washed or changed? A lot of sweat is generated during pregnancy and the pillow cover will absorb it. Having a removable pillow cover will allow you to keep the pillow clean and maintain hygiene. Pillows are generally filled with different materials which have their own set of characteristics. The filling in the pillow will have an impact on the comfort and quality of your sleep. Common pillow filling materials are polyester fibre, styrofoam ball, microbeads, memory foam, buckwheat, therapeutic and some organic filling. Some pillows make an awkward noise when you move around on them. Also, pillows which are not organic will smell of chemicals. Different people prefer a different level of firmness in a pillow. Soft pillows should be avoided as they may not provide proper support. Firm pillows are better when it comes to giving support to the head and the body. Hypoallergenic pillows are ideal for those who are susceptible to allergies from dust. It is important to keep allergies at bay during pregnancy and these pillows will help achieve that. Selection of pillow also depends on the type of body and preferred sleeping position. For example: C-shaped pillows are ideal for plus sized women, snoogle pregnancy pillow provides good support to the back, shredded memory foam pillow or bamboo pillow is the best option for those who like sleeping on their stomach, U-shaped pillows are best recommended for women pregnant with twins. 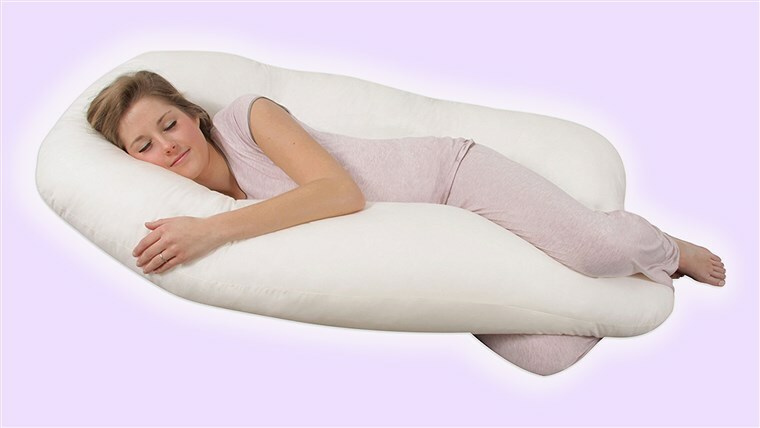 Selecting the right pregnancy pillow might be tricky at times as it needs careful assessment of multiple factors. After using a pillow, if you feel uncomfortable, you should discontinue its use immediately. This entry was posted in Sleeping Tips and tagged mattress protector supplier, pillow supplier, pregnancy pillow manufacture, supporting pillow factory by admin. Bookmark the permalink.